Aside from its stylish blend of modern and cultural roots, one of the benefits of having dreadlocks is its minimal maintenance requirements. Like all hairstyles, you’ll need to invest some time and energy into maintaining your dreadlocks, but it’s significantly less than most other hairstyles. This makes it a popular choice for men and women alike who seek a hands-off approach towards maintaining their hair. 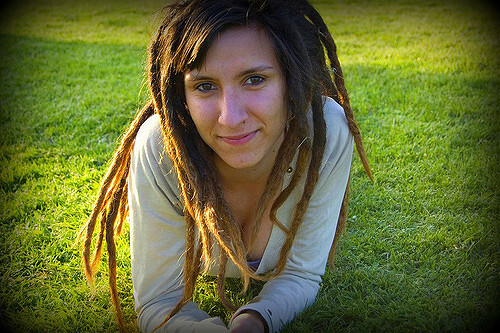 While dreadlocks require minimal maintenance, though, you’ll still need to wash and clean it. So, what’s the best way to go about washing your dreadlocks? The easiest way to wash dreadlocks is by using a gentle shampoo, lathering it onto the palms of your hands and massaging it into the the locks. Keep in mind, however, that you should use only a small amount of shampoo — and make sure you are using the right type of shampoo. Applying too much shampoo will result in a thick layer of residue coating your dreadlocks, which can leave them looking oily. After lathering the shampoo into your dreadlocks, rinse your hair several times to ensure the shampoo and any lingering residue has been washed out. Don’t underestimate the importance of drying your dreadlocks after washing them. Because they are thicker and more dense than individual strands of hair, dreadlocks typically take longer to dry. And if you fail to properly dry them, they’ll remain soaked and saturated, which can lead a not-so-fun phenomenon known as “dread rot.” Using a hair dryer, go over your dreadlocks slowly several times or until the moisture has evaporated. Your dreadlocks should be completely dry to the touch. If they are not, you’ll need to go back over them with the hair dryer. Only once your dreadlocks are completely dry can you rest assured knowing they are safe from dread rot. If you need help choosing a high-quality shampoo that’s suitable for use on dreadlocks, check out our product reviews by clicking here. A good rule of thumb is to wash your dreadlocks at least once per week. Granted, this should only be used a general rule, as frequencies may vary depending on your specific hair type. If you have naturally oily and thin hair, for instance, you may need to wash your dreadlocks more frequently. But if you have thick hair with minimal oil, you can probably get by washing it just once every other week.